Observation - lichen on rock - UK and Ireland. 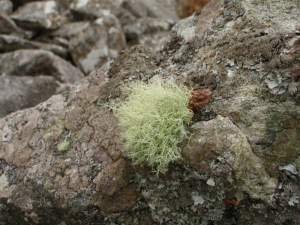 Description: Hair like lichen on coastal igneous rock. Pale green/grey, in a clump. Hair like lichen on coastal igneous rock. Pale green/grey, in a clump.